Draft ‘Dietary’ from 1872, source TNA MH12 16439. 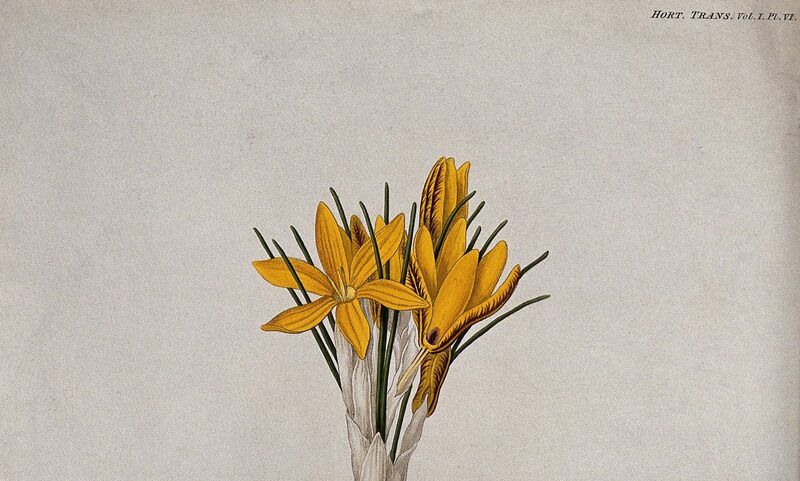 Image courtesy of the author. ‘All we ever get is gruel’, sang the workhouse lads in the 1968 film Oliver! But were workhouse boys like Oliver Twist really forced to bravely step forward and beg for more food? Certainly, in some poor law unions in Britain poor diets generated widely reported scandals. At Andover workhouse the diet was found to be extremely meagre in quantity, resulting partly from the ‘dishonesty’ of the workhouse master. In consequence, inmates who were employed in bone crushing ‘ate the gristle and marrow of the bones they were set to break’. The subsequent inquiry also found that if the workhouse visiting committee had ‘acted regularly and duly in the discharge of their important duties’, the scandals could not have occurred. The regular presence and intervention of poor law guardians was vital to the treatment of workhouse inmates and many of the perceived ‘cruelties’ of the poor law were mitigated by the goodwill of some poor law union guardians (Henriques, ‘How Cruel’). Similarly, the strict application of poor law principles in the Bakewell union in 1855 led to such a serious deterioration of health that an inspector had to implement a much improved diet and exercise regime (Hopkins, Childhood Transformed, 174). This potent imagery appears to have coloured some historians’ view of workhouse diets. Crompton’s assertion that an already ‘inadequate’ diet was aggravated by ‘institutionalised starving’ as punishment, is one example. In her extensive analysis of 3,000 workhouse and prison diets, Johnston argues however that ‘starvation had no role in the policies of either institution’. (Johnston, Diet in Workhouses and Prisons, 5) Crompton cites software ‘Super Diet’ written by the University of Surrey, which was used to determine that the workhouse diets revealed up to a 56% deficiency in energy content, 50% shortfall in vitamin C, hardly any vitamin D and a ‘serious’ deficiency in calcium. The diets were compared with ‘what would be regarded today as a balanced diet’ (Crompton, Workhouse Children, 67). Of course, it could be argued that the diet was still ‘inadequate’ by today’s benchmarks, but such anachronistic comparisons could be made concerning most social conditions of the nineteenth century and is not helpful to our understanding of the period. 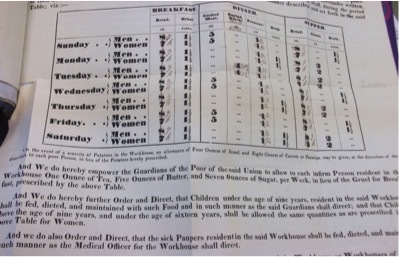 In practice however, diet and conditions in workhouses often exceeded those found in the homes of many poor families, but nonetheless a deterrent remained owing to the widely held punitive and humiliating reputation of the workhouse. Children were assured of receiving a fixed amount of food and did not have to compete for food with the adults and siblings in their family. As Ross argues, death by starvation was still a ‘regular occurrence’ up to and after 1870 (Ross, Love and Toil, 27). In poor law workhouses, diets were also used as a means of control with punishments often taking the form of a modification of rations. This appears to be generally the substitution of one meal for bread and water or in the case of girls (who could not be beaten), a dinner of potatoes instead of the day’s predetermined food. Four young girls who had damaged a partition in the workhouse were punished by their dinner allowance being halved and their treacle ration withdrawn. Workhouse food was monotonous, under-seasoned and probably badly cooked, but the quantities were sufficient and it was designed to deter rather than starve. Part II of this post will appear on Thursday, 12 May. Report from the Select Committee on Andover Union, 1846, paper nos. 663-I; 663-II, iv-v.
 WGAS, U/S 24, WGAS, Workhouse Punishment Book, 2710 January 1855. Dr Lesley Hulonce is historian and lecturer of health humanities in the College of Human and Health Sciences at Swansea University. She is co-director of the Research Group for Health, History and Culture and her research interests include the histories of children, disability, poverty, gender and prostitution via state and voluntary action. She is completing her first monograph about the lives of pauper children in England and Wales which will be published in August.